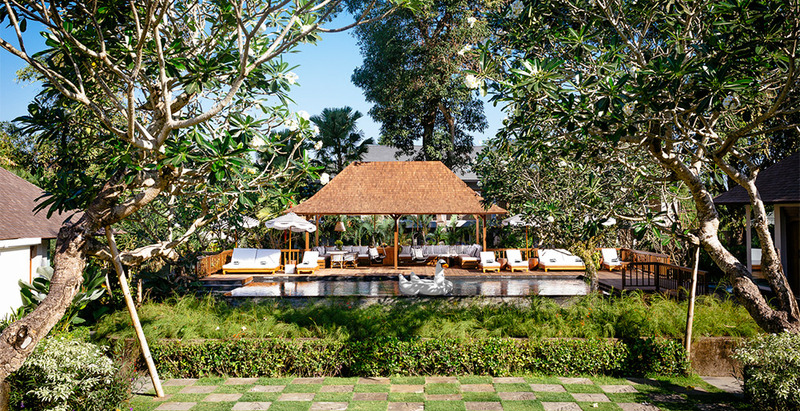 Villa Simona Oasis is chic contemporary estate cradled in the caring arms of two streams fed by a sacred spring, deep within the verdant rice terraces of Canggu, and only minutes from the beach. Seclusion and five-star service from a large professional staff team that includes a private chef are key here, and five fabulous bedrooms are privately positioned among lush gardens and a 13-metre pool. A romantic riverside spa is reached via a little bridge where two circular pavilions are fitted with massage tables. Immersion into the stone jacuzzis decorated with elephant heads, is a must.